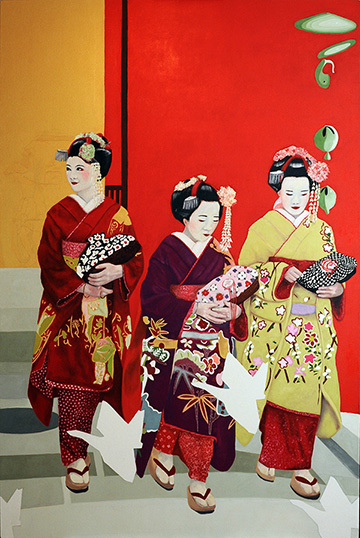 “The Crane” is based on an original photograph of three tourists dressed as Maiko walking on a side street in Kyoto, Japan. Kyoto is home to specialty boutiques where people celebrate festival season by transforming into apprentice geisha, or Maiko Henshin. The transformers will never be confused for real Maiko who are rarely seen in costume during the day. 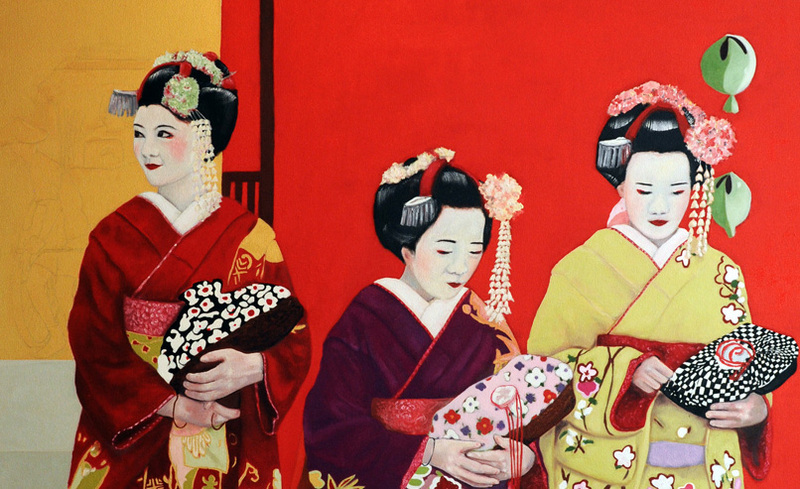 But to onlookers, the Maiko Henshin are still a vision of culture and beauty – life imitating art. The Maiko’s honor comes from their talent and beauty in dancing, singing and playing the three-stringed shamisen for visitors during feasts. With their flawless makeup and costume, the mystery and beauty of the Maiko and Geisha make them a curious, if not rare spectacle to behold in public. 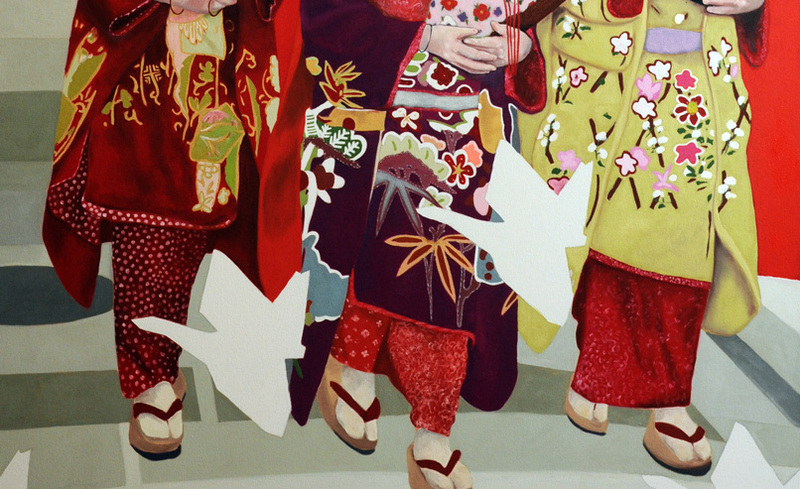 In this painting, I’ve included a repeat symbol of the Crane, a bird often crafted into the Kimono worn by Maiko. The Crane represents fortune, longevity, happiness and healing.